Clarke County Animal Hospital is pleased to offer our clients private animal boarding in our state-of-the-art facility. Let your pet vacation with us next time you're out of town! The caring veterinarians at Clarke County Animal Hospital understand the needs of your beloved pet, and how they will change as your pet begins to age. Clarke County Animal Hospital is a full-service animal care facility that offers excellence in compassionate, quality veterinary care to pet owners in Grove Hill, Alabama as well as the nearby communities of Jackson, and Thomasville. Our licensed veterinarian, Dr. Ed Sellers, has more than 40 years of experience treating animals of all types. This means that Clarke County Animal Hospital is not just for cats and dogs. Clarke County Animal Hospital provides for the general examination and treatment of dogs, cats, rabbits, guinea pigs, small rodents, ferrets, and birds. Our services include boarding, dental care, pain management, surgery, microchipping, and in-clinic diagnostics. Additionally, we offer immunizations, nutritional counseling, wellness check-ups, pharmacy, and emergency care as well as the issuing of certificates of health and consultations for international travel. From consultation to diagnostics and treatment, we are committed to preserving and restoring your pet’s health. We believe in taking care of our clients by providing quality veterinary care as inexpensively as possible. Helping to save our clients money whenever possible, without sacrificing quality pet care, is a core part of our hospital policy. At Clarke County Animal Hospital, we believe in treating you like we would want to be treated and treating your pets like we would want our pets treated. -Deliver compassionate animal care using the most up to date, proven, sound diagnostic, medical and surgical services. -Provide the most convenient, comfortable and reliable bathing, grooming and boarding services possible. 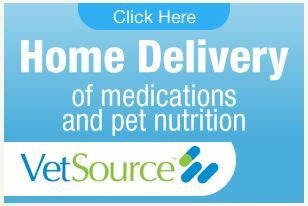 -Provide and stand behind the finest quality medications and pet care products. At Clarke County Animal Hospital we truly believe that animals can and do make life better for us. With this in mind, we feel that we have an obligation to make your pets’ lives as good as we can by helping them stay healthy and happy. To fulfill this obligation, we have assembled an expert team of veterinary professionals who stay on top of new techniques and medicines to bring you the best healthcare available for your pet. We strive to maintain a clean, state of the art, comfortable and efficient facility that is just as welcoming, personal, and caring as it is professional. Clarke County Animal Hospital is like a family, and we would like nothing better than the opportunity to make you and your pet a part of our family. Knowing that your pet is an important part of your family, your pet’s health and well being are important to us. To help you keep your pet with you for as many years as possible, our team is committed to educating our clients about how to keep your pets healthy year round with good nutrition and exercise. We believe in giving you options on treatments and informing and educating you so that you can make the right decisions for your pet. We provide fast and gentle treatment for your sick animal, keeping in mind that all animals and pets need to be treated with loving care throughout every check-up, procedure, or surgery.